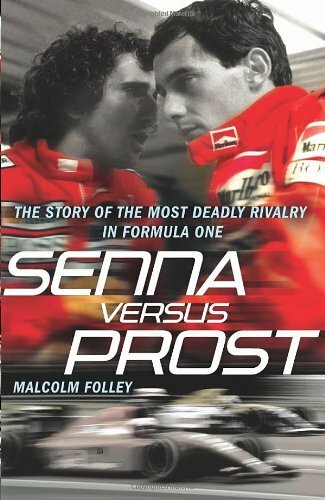 Random House Uk Senna Versus Prost: The Story of the Most Deadly Rivalry in Formula One by Malcolm Folley | Free eBooks Download - EBOOKEE! Posted on 2012-09-21, by sharebookfree. In the late 1980s and early 1990s, Formula One was at its most explosive, with thrilling races, charismatic drivers, nail-biting climaxesâ€”andÂ one of the most dangerousÂ rivalries ever witnessed in sports. Two of F1's most honored champions and iconic figures drove together for McLaren for two seasons, and their acrimonious and hostile relationship extended even after one of them had left the team. Alain Prost was France's only F1 world champion,Â an intelligent, smooth driver with the epithet "Le Professeur,"Â while Ayrton Senna wasÂ the mercurial kid from a privileged background in Sao Paolo who would become the most intense and ruthless racing driver the world has ever seen. As the great rivals raced to victory, their relationship deteriorated badly, culminating in Prost accusing Senna of deliberately trying to ride him off the circuit, and fearful that the Brazilian would get someone killed with his daring overtaking feats. The final, sad act of this drama happened at the San Marino Grand prix at Imola in May 1994, when Senna was killed. Insights from Martin Brundle, Damon Hill, Sir Frank Williams, Bernie Ecclestone, Derek Warrick, Johnny Herbert, Gerhard Berger, plus McLaren insiders and other F1 figures provideÂ a breathtaking account of one of the all-time classic sporting rivalries. 2018-11-01La Romance Over 2,000 Questions about the Most Beautiful Love Story Yours! 2018-09-26La Romance Over 2,000 Questions about the Most Beautiful Love Story Yours! No comments for "Senna Versus Prost: The Story of the Most Deadly Rivalry in Formula One".